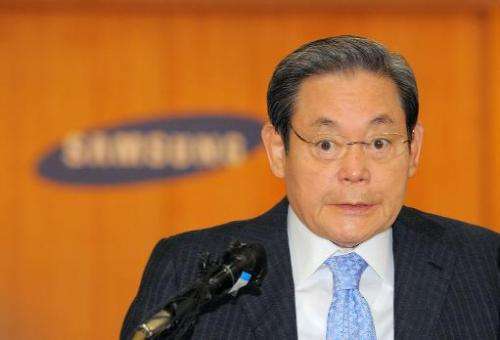 The Seoul High Court upheld a lower court ruling allowing Lee to retain all his shareholdings in the giant conglomerate that members of his family had accused him of hiding from them following the death in 1987 of his father and Samsung's founder Lee Byung-Chull. The collective family claim had amounted to 4.1 trillion won, and Lee's elder brother Lee Maeng-Hee had appealed to the High Court over his 940 billion won ($850 million) share. While the court found that some shares claimed by Lee Maeng-Hee had indeed been bequeathed to him, it noted that the 10-year statute of limitations on inheritance claims had expired. Lee Maeng-Hee's lawyer said his client had yet to decide whether to appeal to the supreme court. In their initial suit, Lee Maeng-Hee and other relatives had claimed that, after the death of their father, Lee Kun-Hee had hidden shares and assets that had been held in other people's names. Only Lee Maeng-Hee appealed the lower court ruling handed down in February last year. 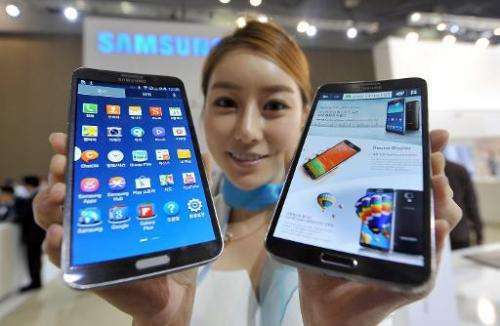 The Samsung chairman has accused his brother of becoming covetous as Samsung emerged as a global industrial behemoth. Lee Byung-Chull, who founded what is now the world's largest technology firm by revenue, had three sons and five daughters. Under the stewardship of Lee Kun-Hee, the conglomerate has flourished and become the world's top chipmaker and mobile phone maker. He is South Korea's richest man, with a net worth estimated by Forbes magazine at around $10.8 billion.